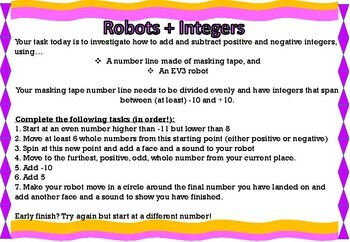 This hands on, super engaging and adaptable task consolidates your students' understanding of positive and negative numbers, using a number line and programming EV3 robots. All you need to add is the robots and masking tape! 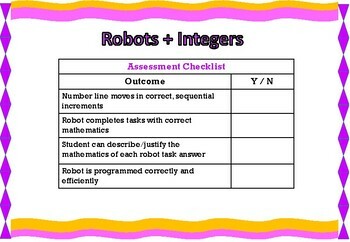 Watch your students learn, enjoy mathematics and work collaboratively with this awesome, tried and tested task.